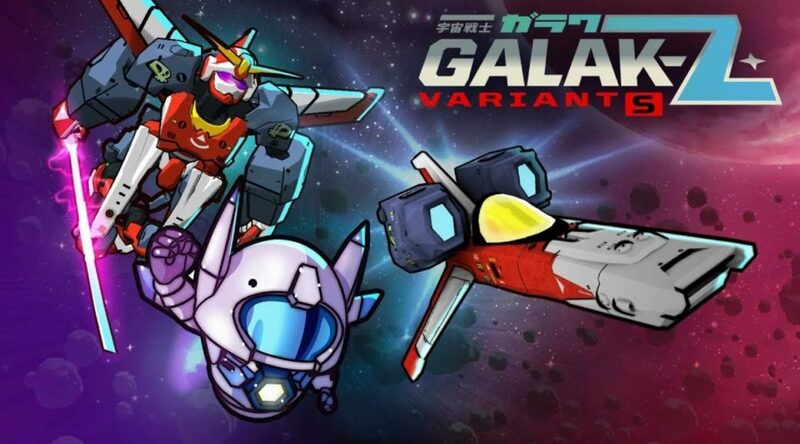 GungHo Online Entertainment, the people behind Puzzle and Dragons, have released GALAK-Z: Variant S as a free download on the Switch eShop. GALAK-Z: Variant S is a new one-of-a-kind space-shooting action RPG designed to take advantage of all the unique features the Switch has to offer. Check out the first gameplay and details below. GALAK-Z: Variant S is a brand new, one-of-a-kind, space-shooting action-RPG that is specially crafted to take advantage of all of the unique features of the Nintendo Switch.Experience stunning space combat from the cockpit of a sleek spaceship or a giant Mech! Battle space pirates, squish giant bugs, challenge Dark Bot bosses, and crush the evil Baron’s army of nasty Imperial troops through more than a hundred endlessly replayable missions in a full-scale story campaign. Fight against player-created squads in the Bot Battle League and earn Trophies to reap better rewards. Collect upgrades, salvage, relics, and Bots to make your spaceship and Mech even stronger, and fight to become the highest ranked pilot in the galaxy! GALAK-Z: Variant S is playable in TV mode, Handheld mode, or Tabletop mode and supports HD Rumble, the touch screen, Nintendo Switch Pro Controller, and Joy-Con™ controllers.